If you are a small business owner, an entrepreneur, or self-employed, you are likely to dread doing your VAT. It involves taking time out from your regular routine to pour over invoices and other documents. It also means you need to read HMRC’s latest information and act accordingly. Failure to do so often results in delays and fines. This is definitely something you can do without. But what if you could do everything in just a few clicks? This is where we come in. Sage One offers a solution: This cloud-based online accounting service is equipped to make VAT troubles a thing of the past. Take Jules Quinn, for example. Jules started her business from scratch and was struggling to keep up with the paperwork and general bookkeeping. It was eating into her time, which in turn stopped her from growing her business. She looked for a solution and found it. Sage One provides her with the flexibility she needs to grow her business, selling specialist teas. 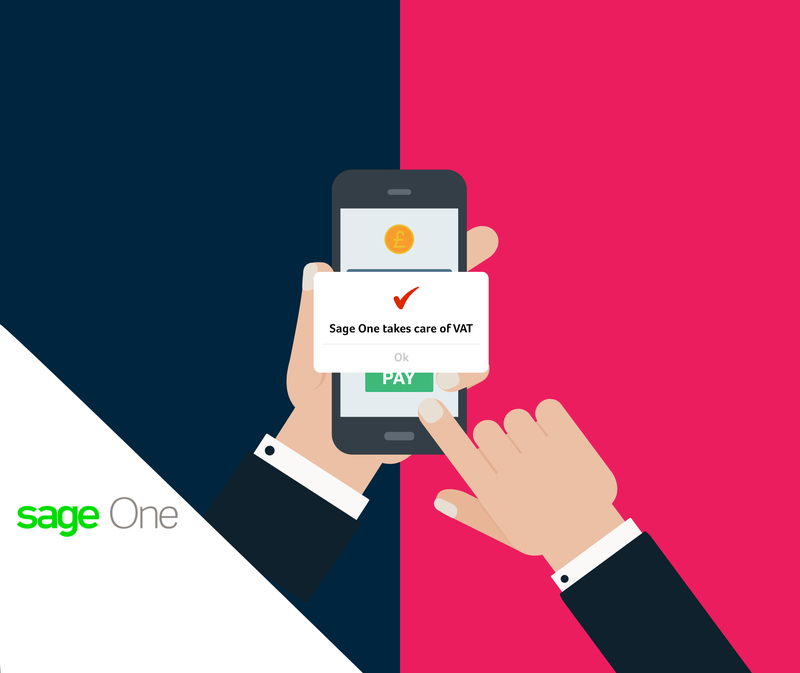 As Sage One is a cloud-based service, Jules can it from any device with an Internet connection. And she doesn’t even have to carry her laptop around. She can use her friends’ laptops or tablets to access Sage One and keep up with the business. This includes VAT too. Cash accounting and the flat rate scheme are supported. It also handles the switch between cash and accruals and the VAT on outstanding invoices entered. The VAT return is also nicely laid out and easy to understand. At Sage our mission is to support you every step of the way. Subscribing to Sage One blog will offer you access to information and tips to help run your business more efficiently. It’s about reclaiming your valuable time so that you can spend it doing what you do best. Our VAT guide, for example, provides you with basic information about VAT and how to avoid common mistakes. The website is regularly updated with the latest information. For example, did you know about the 30th September deadline for reclaiming VAT paid in other EU countries? It has all that you need to know in one neat place.